How to Securely Print to a Xerox Printer | TonerGreen - Eco-Friendly Toners from the U.S. It's not very often that you'll see a printing equipment lacking network-connectivity features. In these age, where wireless and cloud-computing matters the most in every businesses, such function is needed. However, end-users mostly don't acknowledge there are important things to consider and remember when printing over a network--basically security. 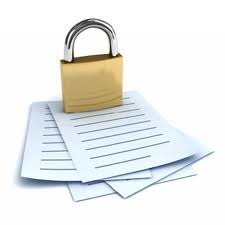 When using a network printer, the files and documents you accessed through your printing equipment either by printing, faxing, scanning, copying or emailing remains in the memory of the printer and can easily be access as well by any other people if one forgot to put up security measures. Xerox has a wide selection of network printers especially since they offer large multi-function printers, that's why with this in mind, we're going to give you the steps on how you can securely print a document to a Xerox printer. 1. On the file menu, click “Print”. 2. Click “Properties”, and then click on “Advanced”. 3. Under “Job Type”, select “Secure Print”. 4. Enter a 4 digit code (do this twice). 5. Go to the printer and select the “job” and enter your 4 digit code. These steps are guaranteed to keep your files and documents safe, but of course, it is still prudent to take basic actions when using a network printer especially for those who lead and is responsible for the document workflow in the office. Make sure to put passwords, observe and monitor who uses the printing equipment and what they print, and lastly, make the printer' setting as private as possible, giving only valid printer passwords to employees. But of course, it is important to take care of your printer's hardware as well. That's why when using replacement cartridges for your Xerox printers, make sure you buy from reliable printer supplies store that offers quality remanufactured Xerox toner cartridges like TonerGreen.com, which also offers recycled toner cartridges.